In 1979, fresh from a Dalhousie MBA focused on international trade and finance, Mary Brooks began looking for work. What she found were closed doors and glass ceilings. Their loss. Offered a temporary position at the Canadian Marine Transportation Centre by Dal faculty member (and future chancellor) Sir Graham Day, she shifted her focus to the shipping industry, and on his advice began an academic career — one that, over four decades, has reshaped government policy, changed industry thinking and elevated the scholarship of shipping management. Now, she’s the first woman to ever receive the most distinguished international prize in her field: the Onassis Prize in Shipping. The Onassis Prizes, announced last Friday (April 20), recognize the foremost global academics in finance, international trade and shipping. Valued at $200,000, the prizes are only awarded once every three years and honour outstanding academic achievements with international significance. 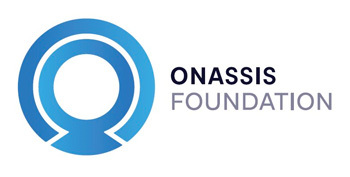 They are jointly presented by Cass Business School London and the Onassis Foundation, a public interest organization founded by a bequest from famed shipping magnate Aristotle Onassis. Dr. Brooks was cited by the award’s distinguished judges for her extensive work in ports and port management. She could just have easily been recognized for her work in short sea shipping, or her studies on liner regulation. Her multifaceted career is a reflection not just of the complexity of the global shipping industry, but also her personal drive to bring people together across disciplines to find practical solutions. She is the founder and past chair, for example, of the Port Performance Research Network, which has grown to include more than 60 varied scholars focused on port governance and performance issues. She was a founding editor of the journal for Research in Transportation Business and Management. Even though she’s moved on from that role, she still serves on five journal boards at present. The scope of her scholarship has spanned continents — North America, South America, Australia and Europe— and includes more than 25 books and technical reports and more than 75 articles in peer-reviewed journals. Dr. Brooks’ work is significant in part because of its direct application — informing both government policy and industry practice — and also because shipping is such a vital part of global trade and commerce. Some estimates peg the percentage of world trade conducted through shipping at upwards of 90 per cent. When the Council of Canadian Academies commissioned an expert panel to study the social and economic value of marine shipping to Canada, its 2017 report estimated its national economic value at $30 billion — much higher than previous estimates — due to its role as a trade enabler. The person the Council asked to chair that distinguished panel? Dr. Brooks, of course. These days Dr. Brooks is retired from teaching, but her scholarly work continues. 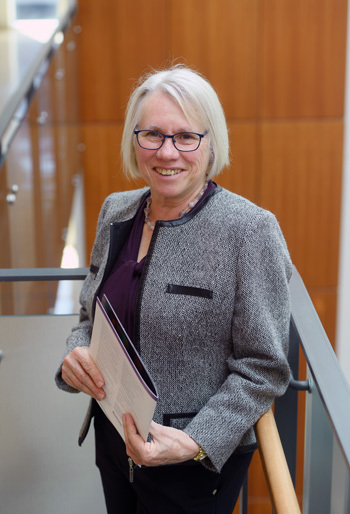 In addition to her service with the Council of Canadian Academies, in recent years she has continued to publish new work, ran a review process for a global conference, conducted a study on port performance for the Canada Transportation Act Review Panel, and served as chair of the Marine Board of the National Academies in the U.S. Shipping may be one of the oldest global industries, but time and time again, Dr. Brooks keeps finding something new to explore in it. It will be up to future scholars and policy makers to keep exploring those fascinations — both those personally trained by Dr. Brooks (she considers the success of her students to be one of the most rewarding parts of her career), and those who will be able to take advantage of and build on the impressive legacy she’s left.